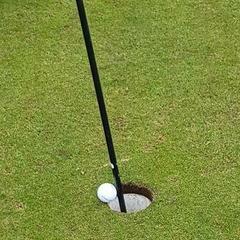 I think I got a hole in one yesterday. Can anyone please confirm that this does count as one? I'm blatantly stealing this from elsewhere (with some modifications). Here's the situation. 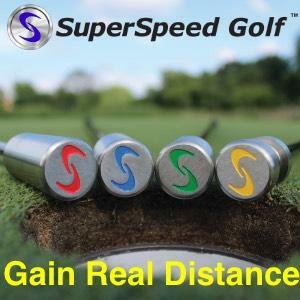 Someone offers you the following wager: if you can make a hole in one on a regular par three green the length you hit your full 8-iron (so, say, 135 to 165 yards depending on your own personal abilities). If you succeed, you win $5M. If you fail, you go to jail for 5 years with no chance of early parole. Some other details: You have 30 consecutive days to complete the challenge. You get to hit up to 250 balls per day (so, up to 7500 balls). There's nothing tricky about the green or hole or anything - it's a regular hole, a regular green with regular size, firmness, stimp, etc. The hole location will change daily (and the tees will be adjusted so the yardage stays within five yards of your full 8-iron distance). Balls you previously hit magically disappear so you can't bank a ball in or something. Nobody else can play the hole - it's magically placed in your back yard or something. Do you take the bet? A friend of mine has a theory that higher handicap players are almost more likely to get a hole-in-one because their ball rolls far and thus has a higher chance of striking the flagstick or running across the hole than a better player who flies the ball to the hole, hops it once or twice, and then the ball quickly comes to a stop. He says this explains why so many poorer players have so many holes in one. That and they always aim at the hole. I think his idea has some merit. Rolling covers more ground. What do you think? iacas posted a topic in Disc Golf, Foot Golf, Etc. He calls it, then nails it. Hole-in-One remorse. Am I nuts? Early last summer I got my first hole-in-one at a local seniors tournament. It was a well struck ball that did not fade like I wanted but hit a banked slope just off the green and rolled about 15' onto the green and in the hole. KP hole also. Celebration ensued, there were over 100 people in the tourney and everyone wanted to shake my hand and drink my beer. (Had bought hole-in-one insurance for $1 for the tournament so I came out ahead even after opening the bar to all). Anyway this obviously made my day and I had a glow and spring to my step for hours afterwards. I then realized that it was incredibly rare that I would have such a feeling of well being. That is when my evil subbrain took over and I thought 'My God, I haven't helped anyone, or made the world a better place, what right do I have to feel good about something that was basically unearned and almost completely luck. I had dark guilt thoughts for a while (I was not brought up in a guilt encouraging religious environment). After a while I turned it around and I thought about how I struggled for a long time to overcome thoughts of personal inadequacy low esteem because due to crappy golf play. 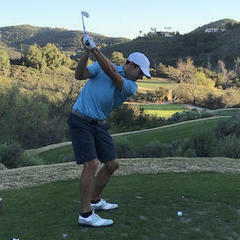 Maybe this was some kind of Zen lesson in avoiding the pitfalls of crazy roller coaster golf. Maybe success and failure at golf need to both be taken in perspective. Some people say I'm nuts and should just roll with the buzz. I don't know. I just found out that the tournament I am playing in two weeks from now is sponsored by Maserati. That's not a big deal, what is a big deal is that the hole in one prize is going to be a Maserati Ghibli Q4. Are you kidding me? Entry fee into the tournament is a little over $50, what a deal.. The best part about it is that the hole in one prize is usually on the hole that I hit my one and only hole in one. Can I do it this time? Wouldn't that be something? I would just sell it, and take the cash! The tournament is going to be a two ball texas scramble, but I guess it doesn't really matter since the prize is an individual one (i.e. hole in one). Go ahead and share with us the best tournament prizes that you have played for? Was it a trip? Cash? Car?.. You can include the best thing you have won if you like! This thread will be an announcement for "Hole in One's" by members. Maybe @iacas will award a badge for an "ace" ? Congrats to @djfajt71 Noticed he got his first one yesterday in the recent status update.